Police office guards the main entrance to the Supreme Court in Washington, Tuesday, Oct. 9, 2018. 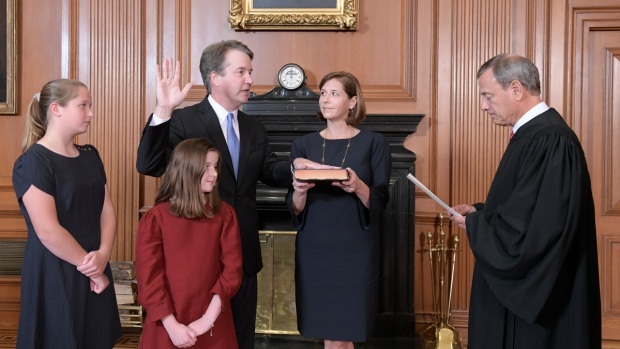 A Supreme Court with a new conservative majority took the bench as Brett Kavanaugh, narrowly confirmed after a bitter Senate battle, joined his new colleagues to hear his first arguments as a justice. The Supreme Court wrestled Wednesday with a case about the government's ability to detain certain immigrants after they've served sentences for committing crimes in the United States. 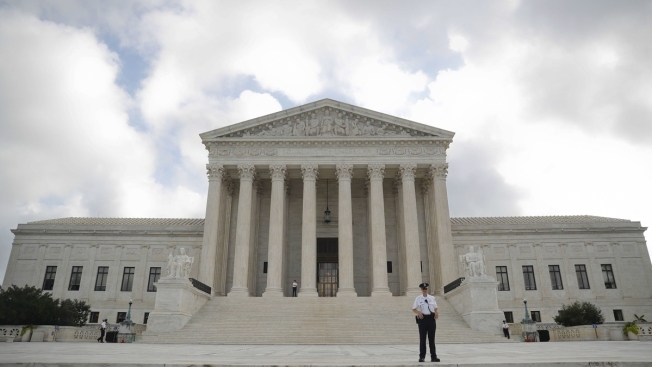 Several justices expressed concerns with the government's reading of immigration law. Justice Stephen Breyer seemed perhaps the most sympathetic to the arguments of immigrants in the case. The immigrants, mostly green-card holders, say they should get hearings where they can argue for their release while deportation proceedings against them are ongoing. Breyer noted that the United States "gives every triple ax murderer a bail hearing." While members of the court's conservative majority seemed more inclined than its liberal members to back the government, both of President Donald Trump's appointees asked questions that made it less clear how they might ultimately rule. The issue in the case before the justices has to do with the detention of noncitizens who have committed a broad range of crimes that make them deportable. Immigration law tells the government to pick those people up when they are released from federal or state prisons and jails and then hold them without bond hearings while an immigration court decides whether they should be deported. Brett Kavanaugh is expected to take his seat on the Supreme Court on Tuesday, just days after the Senate narrowly voted to confirm him despite allegations of sexual misconduct from his teenage years. But those affected by the law aren't always picked up immediately and are sometimes not detained until years later. They argue that unless they're picked up essentially within a day of being released, they're entitled to a hearing where they can argue that they aren't a danger to the community and are not likely to flee. If a judge agrees, they can stay out of custody while their deportation case goes forward. That's the same hearing rule that applies to other noncitizens the government is trying to deport. The Trump administration argues, as the Obama administration did, against hearings for those convicted of crimes and affected by the law. The government reads immigration law to say that detention is mandatory for those people regardless of when they are picked up. Sounding sympathetic to the immigrants' arguments, Breyer asked a lawyer arguing for the government whether he thought "a person 50 years later, who is on his death bed, after stealing some bus transfers" is still subject to mandatory detention without a hearing. But Breyer also seemed to suggest that the government might be able to hold noncitizens without bond hearings if they were picked up more than a day after leaving custody, maybe up to six months. Justice Neil Gorsuch also seemed to have concerns about timing, asking a government lawyer about a hypothetical case in which the government knew someone's whereabouts but waited 30 years to take that person into custody. "Is there any limit on the government's power?" Gorsuch asked. Later, though, he told an attorney arguing for the immigrants in the case that he saw a problem with her reading of the law. FBI Director Christopher Wray on Wednesday said the FBI went through the "usual process" in its supplemental probe of Brett Kavanaugh. 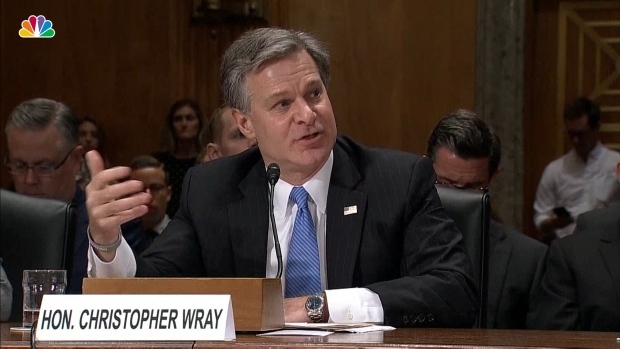 Wray made his first public comments on the case before a Senate committee. Justices Elena Kagan and Sonia Sotomayor seemed willing to side with immigrants. Justice Samuel Alito seemed perhaps the most willing to rule for the government. 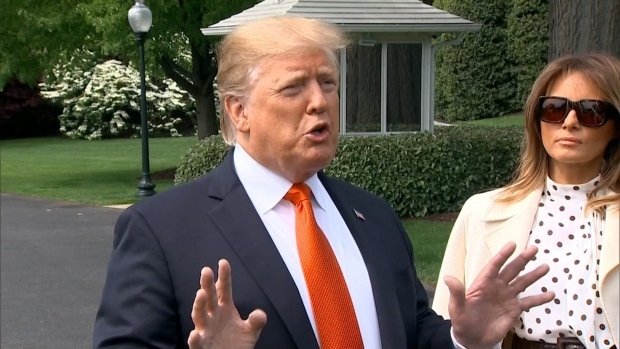 He underscored how difficult it is for the government to quickly pick up everyone covered by the law and told an attorney arguing for the immigrants that "Congress, wisely or not, thought that this class of aliens was dangerous and they should not be trusted." "Bail hearings were unreliable," he said. Chief Justice John Roberts and Justice Brett Kavanaugh, who was hearing his second day of arguments at the high court, also seemed willing to side with the government. Kavanaugh told Cecillia Wang, an American Civil Liberties Union attorney arguing for the immigrants, that Congress "did not put in a time limit" in the law. The ACLU had opposed Kavanaugh's nomination. But Kavanaugh also pressed government lawyer Zachary Tripp about Breyer's suggestion that there could be some limit on how long the government can wait to pick someone up in order to get to automatically hold them without a bond hearing. The case before the justices involves a class-action lawsuit brought by noncitizens in California and a similar class-action lawsuit brought in the state of Washington. One of the lead plaintiffs, Mony Preap, has been a lawful permanent resident of the United States since 1981 and has two convictions for possession of marijuana. He was released from prison in 2006 but was not taken into immigration custody until 2013. Preap won in lower courts, and the government was ordered to provide him and other class members a bond hearing. Other appeals courts have sided with the government in similar cases. Preap has since won his deportation case. The case is 16-1363 Nielsen v. Preap.